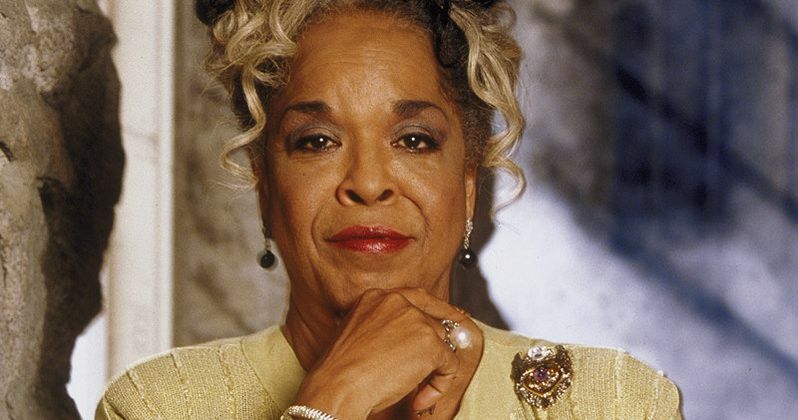 Della Reese, best known for her role as Tess on Touched by an Angel, has passed away at the age of 86. The actress and R&B singer died at her home in California surrounded by loved ones and is said to have succumbed peacefully. The news was confirmed in a statement by her former co-star, Roma Downey. Here's what Downey had to say. "On behalf of her husband, Franklin Lett, and all her friends and family, I share with you the news that our beloved Della Reese has passed away peacefully at her California home last evening surrounded by love. She was an incredible wife, mother, grandmother, friend, and pastor, as well as an award-winning actress and singer. Through her life and work she touched and inspired the lives of millions of people. She was a mother to me and I had the privilege of working with her side by side for so many years on Touched By an Angel. I know heaven has a brand new angel this day. Della Reese will be forever in our hearts. Rest in peace, sweet angel. We love you." Della Reese was born as Delloreese Patricia Early on July 6, 1931, in Detroit, Michigan. She began her life as an entertainer early, singing in public at the age of six as part of her church choir. By the age of 13, she was tapped to perform with Mahalia Jackson's gospel group and went on tour before eventually forming her own group, the Meditation Singers, in the late 1940s. She eventually took on the name Della Reese and was signed to a record deal with Jubilee Records in 1953, releasing six full-length albums. In 1957, the release of her song And That Reminds Me became her first top 20 hit and helped propel her to fame. Starting in the late 1960s, Della Reese turned her attention to acting, with her first credited role coming in 1968 on an episode of The Mod Squad. Outside of her work as Tess on Touched By an Angel, some of her better-known roles came in 1989's Harlem Nights, 1996's A Thin Line Between Love and Hate and 2005's Beauty Shop. CBS, the network behind Touched By an Angel, which ran from 1994 to 2003, had this to say in a statement. "We're deeply saddened to learn of the passing of Della Reese. She was a multi-talented, award-winning performer who shined brightly on sound stages and in concert halls. For nine years, we were privileged to have Della as part of the CBS family when she delivered encouragement and optimism to millions of viewers as Tess on Touched By an Angel. We will forever cherish her warm embraces and generosity of spirit. She will be greatly missed. Another angel has gotten her wings." Della Reese's most recent television appearance was in an episode of Bates Motel, which aired earlier this year. She is survived by her children James, Franklin and Dominique, as well as husband Franklin Lett. RIP, Della Reese. News of her passing comes to us from People magazine.